Inflammation is the fuel that sparks thousands of heart attacks and strokes every year. Inflammation helps in healing in the short term, however, long-term episodes of inflammation, called chronic inflammation can do significant damage to the body. Cardiologists now believe that chronic inflammation triggers the release of artery-blocking plaque--Atherosclerosis which is the cause of most Heart Attacks and strokes. It is always a medical emergency. It is an interruption of the blood supply to the brain and is sometimes referred to as a brain attack. Call 9-1-1 Immediately If You Have Any Of These Symptoms! Sudden dizziness, loss of balance or coordination, possibly accompanied by vomiting, nausea, fever, hiccups, or trouble with swallowing. Sudden severe headache with no known cause followed rapidly by loss of consciousness. Note the time you or someone you are with experienced the first symptom. This information is important to your health care provider and can affect treatment decisions and your outcome. 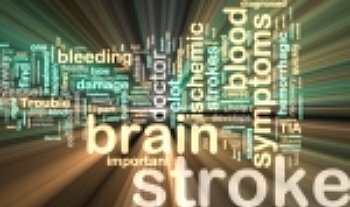 If you have experienced any of these symptoms, you may have had a TIA or mini stroke. FACE-- Ask the person to smile. ARMS-- Ask the person to raise both arms. SPEECH--Ask the person to repeat a simple sentence. Call 911 Or Get To The Hospital Fast. Brain Cells Are Dying Rapidly. High blood pressure is your number one risk factor. Birth control pills can be a cause especially in woman who smoke, and who are older than 35. Men have more brain attacks than women. But, women have a risk during pregnancy and the weeks immediately after giving birth. The Following Can Increase The Risk Of Bleeding Into The Brain, Which Makes You More Likely To Have An Emergency. Patients with psoriasis, particularly if severe, have an increased risk that is not explained by major risk factors identified in routine medical care. Journal of Investigative Dermatology advance online publication, 21 May 2009;doi:10.1038/jid.2009. Lupus is also one of the causes. It does so by causing inflammation inside the walls of blood vessels. This condition, is known as vasculitis, and is seen in many patients with lupus. Sometimes the inflammation in the blood vessels is so severe that blood flow through the inflamed vessel is completely blocked. Recent viral and bacterial infections may add another small risk. Your immune system responds to infection by increasing inflammation and increasing the infection fighting properties of your blood. However, this immune response increases the number of clotting factors in the blood, leading to an increased risk of ischemic stroke. What Can You Do To Lower Your Risk Factors? People with high blood pressure have a risk that is four to six times higher than the risk for those without hypertension. If you smoke, stop. Smoking is the leading preventable risk factor. Smoking quadruples stroke risk factors. If you are diabetic, follow your doctor's recommendations carefully to control your diabetes. Chronic Inflammation Has Been Shown To Predict The Risk Of A Brain Attack In Apparently Healthy Men. You must get Chronic Inflammation under control! Supplementation with DHA, one of the omega 3 fatty acids is associated with a reduction in inflammation in men with elevated triglyceride levels. High Triglycerides Increase Your Risk Of Stroke. Heart attack survivors who took 900 mg of omega 3 fish oil daily were 30 percent less likely to die of a second heart attack, and 20 percent less likely to suffer a stroke, than those didn't take the fish oil. About 2.2 million Americans are living with atrial fibrillation (one type of rhythm problem). Arrhythmias can occur in a healthy heart and be of small consequence. However, they may also indicate a serious problem and lead to heart disease, a brain attack, or sudden cardiac death. Studies Have Shown Omega 3 Fish Oil To Stabilize Your Heart Rhythms. Omega 3 fish oil is a standard part of cardiac care in Europe. If you have a heart attack or stroke in Italy, France, Britain, or Spain, the hospital will send you home with a prescription for a super purified DHA and EPA omega 3 fish oil supplement. After much testing, and researching, I found a very good company where you can Purchase Pharmaceutical Grade Omega 3 Fish Oil. Men and women who regularly eat dark chocolate have a significantly lower level of inflammation as indicated by reduced concentrations of serum C-reactive protein (CRP). Your doctor can check your CRP with a simple blood test which is done in the clinic. In a 15-year study, Dutch scientists determined that people who ate just 4 grams of cocoa a day had half the risk of dying from heart disease or stroke than those who ate less. That's the equivalent of two 25 calorie Hershey's Kisses. Clinically, Stroke Is Hard To Treat. If You Can Do Anything To Prevent It, Do It Now. If you are on blood thinners be sure to check with your doctor before taking Omega 3 fish oil. Omega 3 supplements may increase the chances of bleeding, especially in people taking anticoagulant medications such as coumadin, or even aspirin. It's important to know that, one out of every eight strokes is preceded by a "warning stroke," which is a transient ischemic attack (TIA) according to research published in the September 2009 issue of Neurology. You should also be concerned with arterial blockage if you suffer from erectile dysfunction. Do You Have Pain In The Legs? You will be able to go to your page, and send friends and family to see it, and they can submit their own comments.